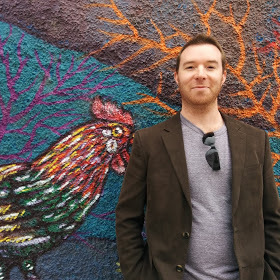 Jake Schlachter (jake@weown.it) is the founder and executive director of We Own It, a start-up nonprofit that is building a new national network for cooperative member-owner rights, education, and organizing. As We Own It’s principal organizer, he feels blessed to play a role in bringing together a new growing network of dozens of contributing organizations and hundreds of individuals. Jake left a promising early career in corporate computer security software development in 2008 to practice organizing full time and follow his parents, both Episcopal priests, in a vocation of holy hellraising. Local community organizing led him first to elections integrity issues and then to cooperative business and the national food co-op movement in 2011. In his previous role with Food Co-op Initiative, he trained and coached new organizers starting up food cooperative organizing campaigns. He has led training workshops at twenty-one conferences for hundreds of co-op organizers and board members representing dozens of cooperatives. Jake has been an invited presenter for the National Cooperative Business Association, the National Cooperative Bank, the Consumer Cooperative Management Association, Cooperation Works, and numerous state cooperative development centers, and has extensive relationships within the cooperative movement and business sectors. Jake is also a software developer, and still occasionally has time to dabble. He lives in Madison, Wisconsin, with his wife, Laura Schlachter, a cooperative researcher and environmental sociologist, and their baby daughter.